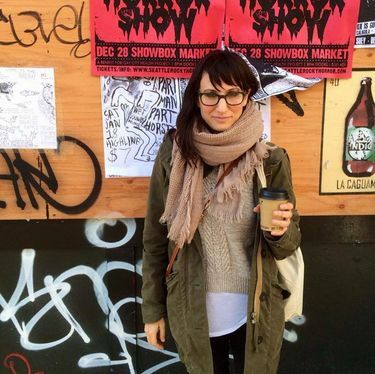 Jessica Bennett, a Seattle native and author of “Feminist Fight Club: An Office Survival Manual,” brings her manifesto about office sexism to Elliott Bay Book Company on Sept. 28. When President Obama first took office, female White House staffers developed a little trick for making sure they weren’t ignored in meetings, where two-thirds of the attendees were men. They called it “amplification”: When one woman made a key point, another woman would repeat it, and give a nod to the source. Not only did it force the men to recognize a woman’s contribution, it prevented them from claiming it as their own. The tactic worked to change the thinking among the men, according to a recent story in The Washington Post — including Obama, who began calling more often on women and junior aides. 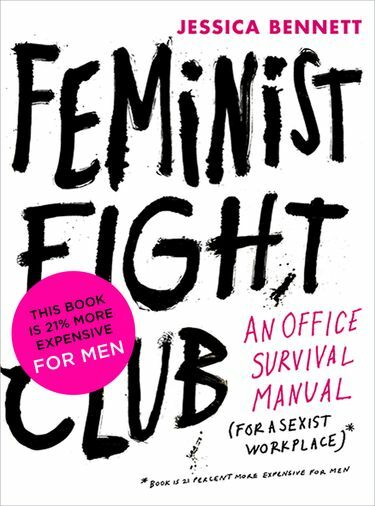 The author of “Feminist Fight Club: An Office Survival Manual” will appear at 7 p.m. Wednesday, Sept. 28, at The Elliott Bay Book Company, 1521 10th Ave., Seattle (206-624-6600 or elliottbaybook.com). “It just goes to show that these issues are so widespread,” said Jessica Bennett, author of the new book “Feminist Fight Club: An Office Survival Manual,” a manifesto for females in the workplace. Bennett, 34, a Seattle native who now lives in Brooklyn, is a contributing writer for The New York Times. She’ll return to her hometown for a reading, discussion and signing at The Elliott Bay Book Company on Sept. 28. Her “so-called ‘click moment’ ” came in 2010 when she was working as a staff writer at Newsweek. After being raised in privilege by liberal Seattle parents, taking AP classes at Garfield and excelling in college, Bennett expected success to come easily. “I felt really lucky to be there, but I wasn’t getting ahead,” she said. She struggled to get ideas approved, then saw them published under a man’s byline. Then she found out a male colleague at her same level was making $10,000 more. “I was frustrated for a long time, but didn’t vocalize it,” she said. Then she started talking to female colleagues who had the same experience. They learned of a 1970 gender discrimination claim that 46 female staffers filed with the Equal Opportunity Employment Commission saying Newsweek had a policy of only allowing men to be reporters. The women won, and the victory “paved the way for female journalists,” Bennett said. Bennett and two colleagues wrote about the lawsuit on its 40th anniversary, and through their reporting realized that not much about the office culture had changed. It inspired her to form her own “Feminist Fight Club” of women of all stripes, who meet regularly to not only share war stories from the office, but offer support, advice, vet each other’s resumes, review job and salary offers, and take their unemployed members to lunch. The book is chock-full of tools for women seeking to navigate the male-dominated office culture. Everything from how to negotiate a raise to creating your own personal board of directors to learning not to take the fall for mistakes that aren’t yours (research shows that women are “good” at taking the blame). “I want to call attention to these issues because so many women can’t,” she said. When Donald Trump was asked what he would tell his daughter if she was harassed on the job, he said he would advise her to quit. Bennett was sure to include plenty of statistics and facts that she verified again and again. The last 16 pages of the book contain 400 footnotes. Men are deemed “busy” when they refuse extra work, while women take a hit on their likability when they push back. In one study, researchers looked at mixed-gender teams, and found that people “inferred naturally that the best ideas came from men,” Bennett said. “They just assumed,” she continued. “We joke about men taking our ideas, but it turns out they are often just attributed to them. Bennett doesn’t delve very deeply into the wage gap, but noted that first-year female college graduates make 93 percent of what their male colleagues do. Bennett sometimes treats the serious subject of workplace equality with lighthearted illustrations, and cutesy humor: Terms like “Manterruption” to describe the way men cut women off when they’re speaking; or “Bropriator,” for men who try to take credit for women’s ideas. But humor is the best way to deal with these office oafs, she said. You can tell them they’re being a “Menstruhater” (a man who thinks it’s always “that time of the month”) and not offend. Get them to laugh along, Bennett said, and they might catch themselves next time. But it’s not all on men, Bennett said. Women can be sexist, as well. The problem is that there are few spots made available to women, she said. So they fight everyone for a shot. Those women who do succeed often sabotage themselves by refusing to accept praise, or saying it was all luck, or taking on tasks like party-planning that lose them respect. All that said, things are getting better. The millennial generation is much more aware of gender inequality, Bennett believes.